Some of you might experience this issue, a hard time calling your network provider's Customer Service Representative (CSR) due to high volume of call concerns they are recieving. So, we compile all the contact details and informations of the top providers here in Philippines. 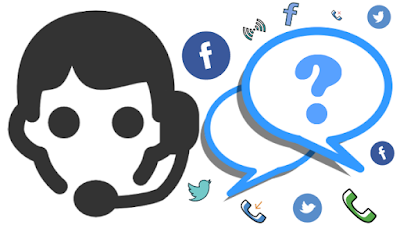 You can select the best way you want to connect with the available agents that will help you with your concerns, most especially when you need assistance urgently. For other Promos and Services dial *143# then press call. Note: Toll Free is not applicable during international roaming. For Prepaid, Call 200 using your Sun Cellular SIM (Toll Free) or (02)395-8000 (Landline). For Sun Postpaid Elite plan, call 888 using your Sun Cellular phone (Toll Free) or (02) 395-8888 (Landline). For Sun Broadband Wireless concern, call 333 using your Sun Cellular SIM (Toll Free) or (02) 395-3333 (Landline). You can also e-mail or send them your concern using their feedback form - click here. Call 7878 using your ABS-CBN Mobile SIM (Toll Free) or call (02) 266-7878 (Landline). Visit them @ Ground Floor ELJCC Building, ABS-CBN Broadcast Center, Eugenio Lopez Drive, Quezon City, Philippines, 1103. This is truly helpful. I hate when I call their line and I have to wait for a ring. This is really helpful especially if you want to talk to their customer service. This will come in handy in the future. Very informative! Will definitely be bookmarking this! Thanks for compiling all these. But usually I prefer to personally go to their store because most Philippine Telco Companies have a bad customer service. Bookmarked your post already. Thanks for this, it's very helpful! I did save your link for this post for future use. I already have Smart and Globe contact details aside from the rest.